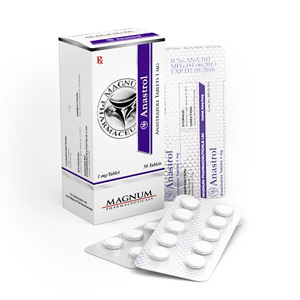 Anastrozole – refers to anti-estrogen drugs and is synthesized specifically for the treatment of a common disease among women today – breast cancer. 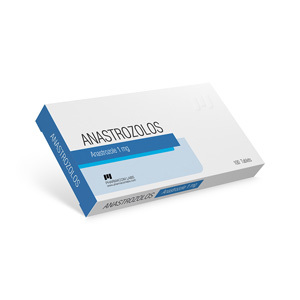 Anastrozole was the first medicine that got into the class of aromatase inhibitors of the 3rd generation. Anastrozole is able to reversibly bind aromatase with a competitive inhibition pathway, and the drug inhibits the conversion of androgens to estrogens that are found in peripheral tissues. The drug has its name in the chemical language – 1,3 benzene-diacetonitrile, a, a, a ', a'-tetramethyl-5- (1 H-1, 2,4-triazol-1-ylmethyl), formula C17H19N5. The molecular weight is 293.366 g / mol. Tamoxifen citrate (Nolvadex) is also often used for this purpose, which blocks the effect of estrogen on receptors, and does not affect the endogenous synthesis of its own estrogen by the body. 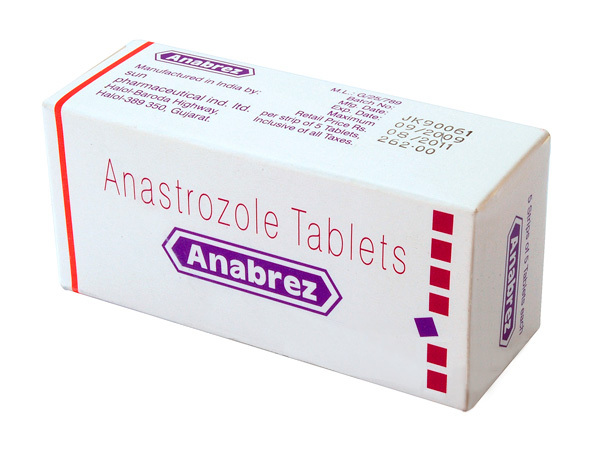 The drug Anastrozole can have a significant effect on the level of estrogen in the body. So, for example, the use of only 1 mg (most often this is one tablet) per day can cause a process in which estrogen will be suppressed in 80% of patients and more. Given the powerful effect of the drug on the hormone level, it is mainly prescribed to women only during the postmenopausal period. 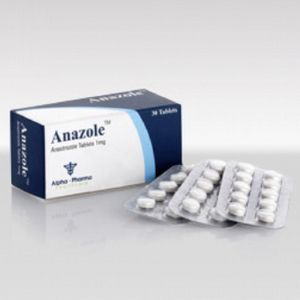 Anastrozole was developed by Zeneca Pharmaceuticals, and by the end of 1995 it was approved for use in the US. The drug was conceived as a means of a new generation that will be used to treat still-treatable breast cancer in women. For the same purpose, a drug called Tamoxifen was previously used for a long time. In order to move away from the already established trends in this area, there were compelling reasons. Very soon after the appearance, Anastrozole was included in a global double-blind study of a multicenter, which was based in Rome. During the study, an assessment was made of the use of Anastrozole and Tamoxifen, alone or in combination. The study involved 9,366 women in the postmenopausal period after surgery for the treatment of breast cancer. Based on the results, a significant advantage of the drug Anastrozole in front of Tamoxifen was revealed. After such treatment, a significant number of patients experienced regression of the disease, and overall survival rates were also raised. After the results of the study were published in 2002, the drug Anastrozole is known as a new tool for the treatment of additional breast cancer in women during the postmenopause. Then he begins to gain popularity among men – athletes, due to the fact that he can strongly suppress estrogen. Athletes using steroids use Anastrozole in order to minimize the side effects associated with an increase in estrogen levels, often observed with anabolic / androgenic steroids. Compared with traditional drugs, such as Nolvadex and Proviron, Anastrozole is much more effective in controlling estrogen levels. anorexia, nausea, vomiting, diarrhea, asthenia, drowsiness, headache, skin rash, thinning of the hair, flushing of blood, vaginal dryness, vaginal bleeding. While receiving anastrozole, thromboembolic complications sometimes developed, but the cause-and-effect relationship with treatment was not established. Some increase in the level of total cholesterol in the blood plasma and in patients with metastases in the liver – an increase in the activity of hepatic enzymes. The drug is used strictly according to the doctor's prescription! Adults, including the elderly: 1 tablet (1 mg) orally 1 time per day. For the treatment of postmenopausal women with hormone-receptor-positive invasive breast cancer at an early stage, the recommended duration of treatment with ancillary endocrine drugs should be 5 years.